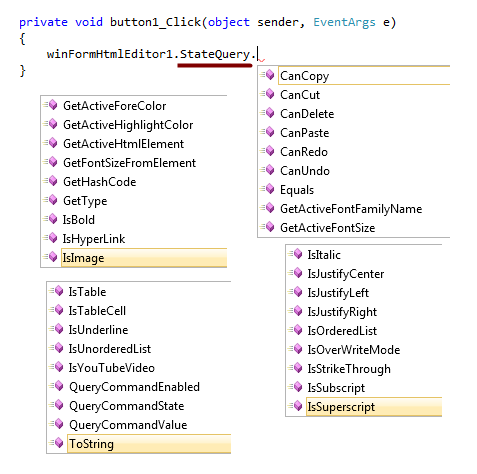 State Query Service contains various methods for getting the active context information. Here, we show some of the Service methods as Visual Studio Intellisense Screenshot so that you can have a nice idea about this API. For details about the API, please check the class library reference document (*.chm file) that you received in the download zip file.